Bringing to close an unforgettable 14-date European Winter tour of their 2016 summer hit album Your Wilderness, The Pineapple Thief, led by post-progressive mastermind Bruce Soord and reinforced by Gavin Harrison (King Crimson) on drums with Darran Charles (Godsticks) on guitar, gave the sold-out Islington Assembly Hall in London a truly awe-inspiring gig on 11th February 2017. Where We Stood showcases a powerful performance from both band regulars and guests on new tracks from Your Wilderness, including “In Exile“, “No Man’s Land” and “The Final Thing On My Mind“, and of the classics from previous albums, “Nothing At Best“, “Show A Little Love” and “Simple As That“. 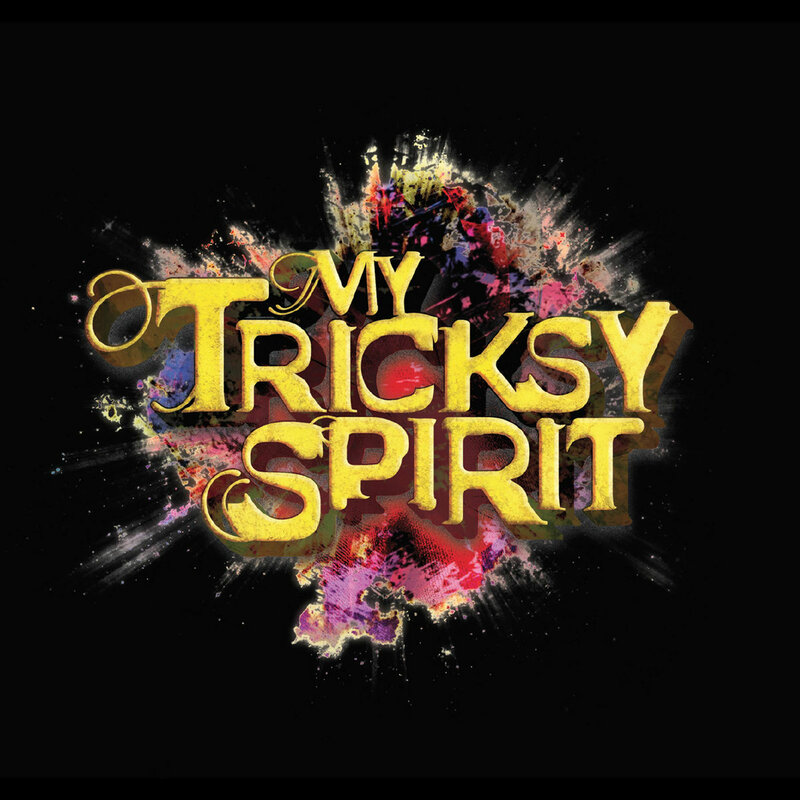 · 48-page hardback book includes additional photography from the gig and back stage by PROG magazine’s Kevin Nixon. · 1 x DVD and 1 x Blu-Ray disc featuring: the concert film with two 24/96 DTS-HD MA 5.1 surround sound mixes (one natural, one discrete) and 24/96 hi-res stereo audio; the original Your Wilderness album in both 24/96 DTS-HD MA 5.1 surround sound and 24/96 hi-res stereo audio; the previously exclusive and sold out 8 Years Later bonus material 24/96 hi-res stereo audio plus a previously unreleased 24/96 DTS-HD MA 5.1 surround sound mix; an acoustic 5-track bonus album in 24/96 hi-res stereo audio and 24/96 DTS-HD MA 5.1 surround; a Where We Stood documentary film a making-of video for the single “In Exile”; Soord’s acoustic studio performance of “Tear You Up”; and the official videos for “In Exile” and “No Man’s Land”. 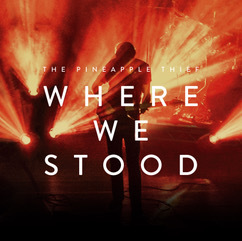 · DVD-V Where We Stood the concert film with two 24/96 DTS-HD MA 5.1 surround sound mixes (one natural, one discrete) and 24/96 hi-res stereo audio; the original Your Wilderness album in both 24/96 DTS-HD MA 5.1 surround sound and 24/96 hi-res stereo audio; the previously exclusive and sold out 8 Years Later bonus material in both 24/96 DTS-HD MA 5.1 surround sound and 24/96 hi-res stereo audio; an acoustic 5-track bonus album in 24/96 hi-res stereo audio; a Where We Stood documentary film a making-of video for the single “In Exile”; Soord’s acoustic studio performance of “Tear You Up”; and the official videos for “In Exile” and “No Man’s Land”. · The concert film featuring: the concert film with two 24/96 DTS-HD MA 5.1 surround sound mixes (one natural, one discrete) and 24/96 hi-res stereo audio; the original Your Wilderness album in both 24/96 DTS-HD MA 5.1 surround sound and 24/96 hi-res stereo audio; the previously exclusive and sold out 8 Years Later bonus material 24/96 hi-res stereo audio plus a previously unreleased 24/96 DTS-HD MA 5.1 surround sound mix; an acoustic 5-track bonus album in 24/96 hi-res stereo audio and 24/96 DTS-HD MA 5.1 surround; a Where We Stood documentary film a making-of video for the single “In Exile”; Soord’s acoustic studio performance of “Tear You Up”; and the official videos for “In Exile” and “No Man’s Land”. Soord continues “Watching the show back, it’s reminded us of how much we’re looking forward to getting back on stage again in September for Part 2 of the ‘Your Wilderness’ tour. If it turns out to be half as much fun as the last one then we simply cannot wait! Threshold return with their 11th full length release ‘Legend Of The Shires’. 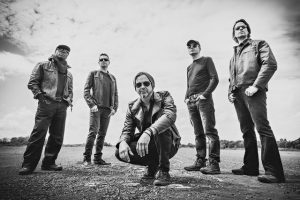 One of progressive metal’s most enduring bands formed in 1988 and released their first album in 1993, twenty four years later their “colossal double concept album” sees them stretching the boundaries of the genre once again. 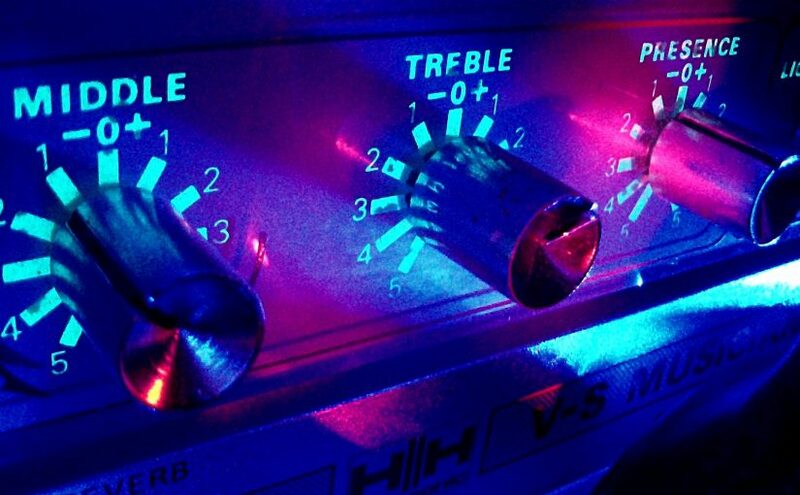 Described as “A monster of an album…” by Threshold’s Richard West, it is also the band’s first ever double album. 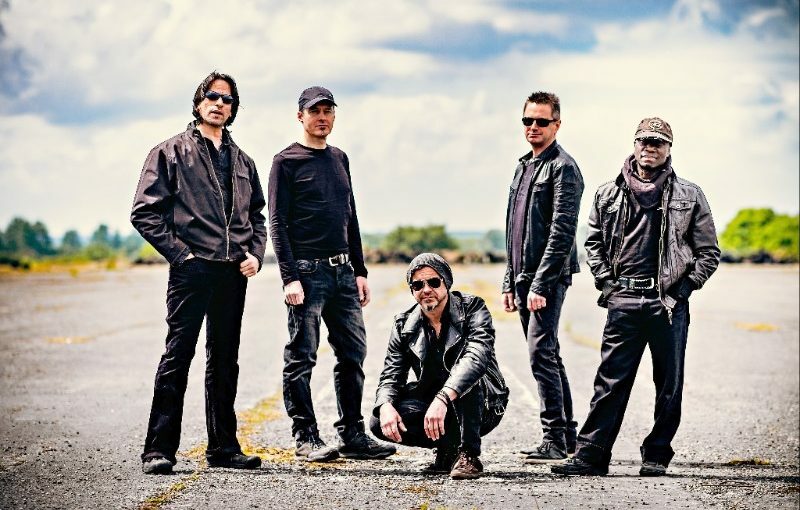 ‘Legends Of The Shires’ is possibly Threshold’s most complete album yet which, with a back catalogue like theirs, is really saying something. 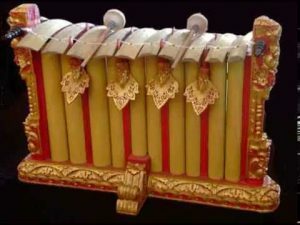 It flows from beginning to end, like one complete musical journey and is a true concept in both musical and lyrical terms. 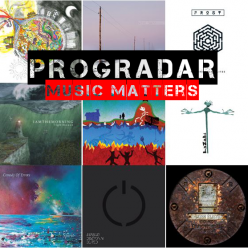 A concept loosely based on our country’s current position in the wider world and also how we, as individuals, fit into the wider scheme of things is worked intelligently into some of the band’s best recorded material of the last few years. Keyboardist West and guitar guru Karl Groom are the main songwriting masterminds and, as well as Glynn (who also adds guitar parts), Johanne James (drums) and Steve Anderson (bass) make up the rest of the band. Production, engineering and mixing duties were also handled by Richard and Karl. 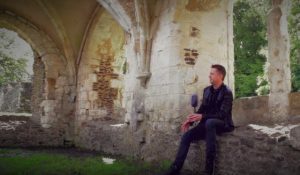 The return of Glynn Morgan has added even more power to the vocals and yet he can also provide moments of sentiment and passion on tracks such as The Shire (Part2), State Of Independence and the emotive album closer Swallowed. 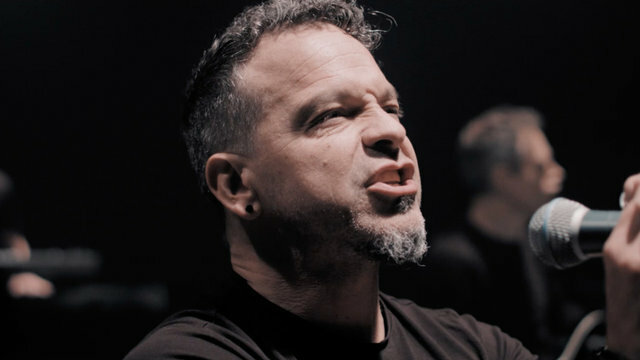 Glynn also adds fervor and a rawness to hard riffing songs like the brilliant Small Dark Lines and the heavy On The Edge and Superior Machine. The added emphasis on the song and the soundscapes is wholly evident on the two heavily prog-infused epics that grace this great album. The superb The Man Who Saw Through Time was never intended to be a longer track but just evolved into the wonderful musical odyssey it has become. An involving and powerful song which holds your attention and pulls at your heartstrings before opening up into a wide musical panorama with intricacy and vibrancy, you’ll find yourself transfixed. Lost In Translation is just over ten minutes of near musical perfection from the euphoric opening right through the hypnotic and entrancing verse and the addictive chorus to the uplifting close and the great interplay between Karl’s guitar and Richard’s keys, this is songwriting at its best. There are no filler moments on the album, the progressive-metal standard Trust The Process has all the prerequisites than any such track should have and reminds me of Dream Theater at their original best and one of the stand-out tracks on this stand-out album is the exceptional Stars And Satellites with it’s Frost* like innovations and incredibly catchy chorus. Snowblind is another superior song with an exceptional musical narrative and one that I know Karl is especially pleased with. Another highlight is the return of original bassist (and one-time vocalist) Jon Jeary who guests on vocals on the lovely The Shires (Part3) a delightful, if short, piece of music that compliments the rest of the tracks perfectly. I make no excuses for my effusive praise of this new release from Threshold, ‘Legends Of The Shires’ is a triumphant return from one of the UK’s foremost progressive-metal artists and is an album where the song and the journey take precedence over technical wizardry and musical scales and deliver an expansive and immersive musical adventure that transfixes and captivates in equal measure. 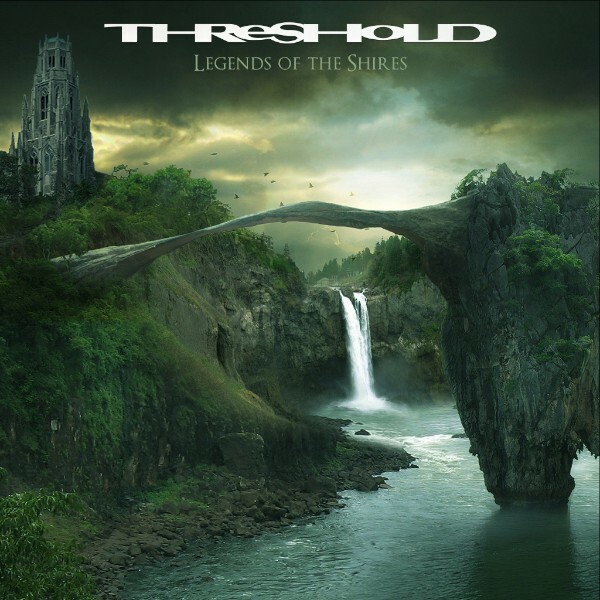 From beginning to end, the music flows perfectly and the album should ideally be consumed in one sitting, 2017 has given us some superlative musical releases already but, in ‘Legends Of The Shires’, Threshold may just have delivered the finest one yet. 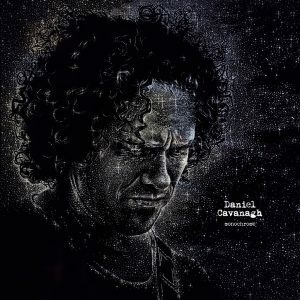 Riding the waves of his success with Anathema’s latest album The Optimist, which includes a worldwide headline tour, multiple summer music festivals and an Album of the Year nomination for the 2017 Progressive Music Awards, the band’s driving force, Daniel Cavanagh releases his debut solo album, Monochrome. 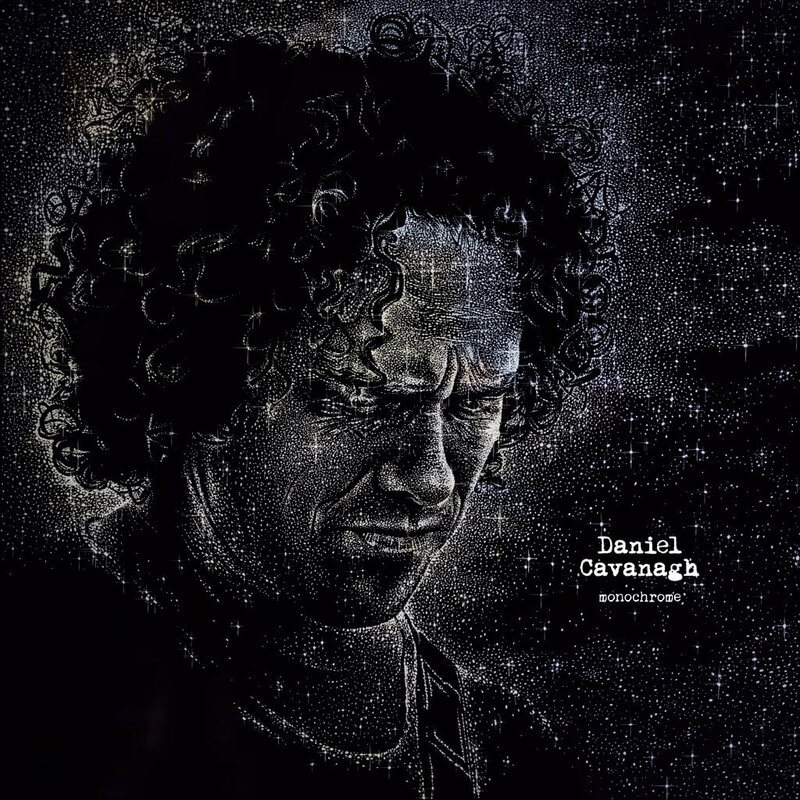 Monochrome , whilst written & performed by multi-instrumentalist, Daniel Cavanagh, does feature guest performers – Anneke Van Giersbergen – ex-vocalist for The Gathering, who has since sung with Devin Townsend, Árstíðir, Anathema and Arjen Lucassen appears on 3 songs – “This Music”, “Soho” and “Oceans Of Time”. The album also sees the exceptionally talented Anna Phoebe providing violin on “Soho”, the Poe inspired “The Silent Flight Of The Raven Winged Hours” and “Dawn”. 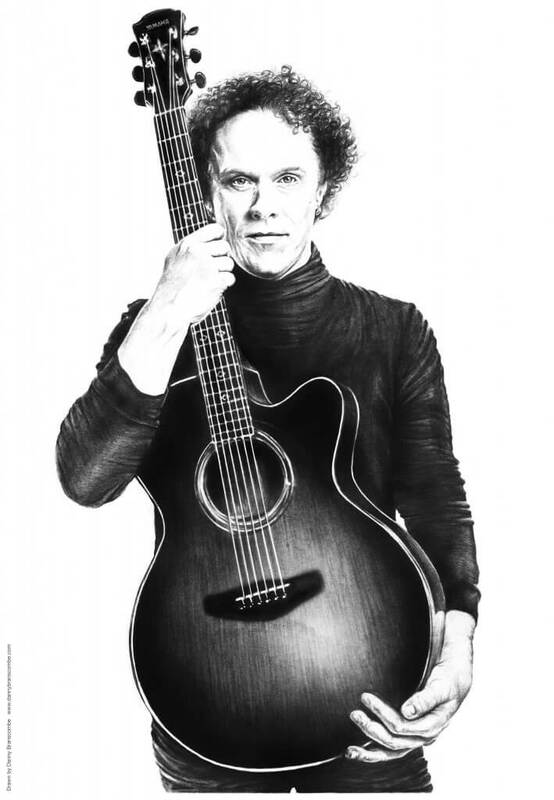 Recorded at Grammy Award-winning Parr Street Studios, engineered by Andrea Wright, mastered by Anathema’s Daniel Cardoso, and with artwork by illustrator Danny Branscombe (https://www.dannybranscombe.com ). Anathema are currently on tour in North America in support of their critically acclaimed new studio album The Optimist. The UK & European tour begins on 22nd September in Glasgow and concludes inn Luxembourg on 18th November before they head to Australia for the first show in Brisbane on 6th December. One of THRESHOLD’s founder members Jon Jeary, who last performed with the band in 2002 also appears on the new album. Jon can be heard performing vocals on ‘The Shire (Part 3)’. Jon Jeary was the band’s bassist and also performed backing vocals on songs such as ‘Eat The Unicorn’. He co-wrote a number of the band’s early classics, including ‘Sanity’s End’, ‘Into the Light’ and ‘The Ravages Of Time’. Jon previously appeared on the THRESHOLD albums Wounded Land (1993) to Critical Mass (2002). US singer-songwriter and former fisheries biologist, Anna Coogan is excited to announce her return to the UK on tour following the release of new record The Lonely Cry of Space & Time, including a show at London’s Sound Lounge on Thursday 19th October. The album, a virtual two-person effort which features Willie B (Brian Wilson) on drums and Moog bass, combines Coogan’s three-octave soprano vocals, electric guitar soundscapes and pointed social commentary into a fierce cohesive piece which combines the personal and the political, in a musical hybrid of rock, country, pop and classical opera into a unique whole. Her new direction was born from her series of performances in her adopted hometown of Ithaca, NY, in which Anna and Willie B created live musical accompaniments for vintage silent films. A true independent, Anna releases her own albums and books her own tours, which have taken her all over the world, including international festivals like the Blue Ball in Lucerne, Switzerland, Maverick in Suffolk, UK, as well as the Glasgow Americana Festival and Celtic Connections in Scotland. She has also played extensively in Germany and the Netherlands, and toured as a member of the Johnny Dowd Band. Speaking on Chad’s work, Guy comments, “He manages to capture the evolving power of nature and its humbling sense of scale. Nature is an unparalleled force to overpower almost anything that stands up to challenge it. A constantly evolving force which cannot ever be fully controlled; it makes our efforts seem futile when trying to dominate this planet. Mother Earth can exercise huge levels of restraint against human’s intentions to interfere: this is the concept which ‘It Cannot Surface’ is based on. 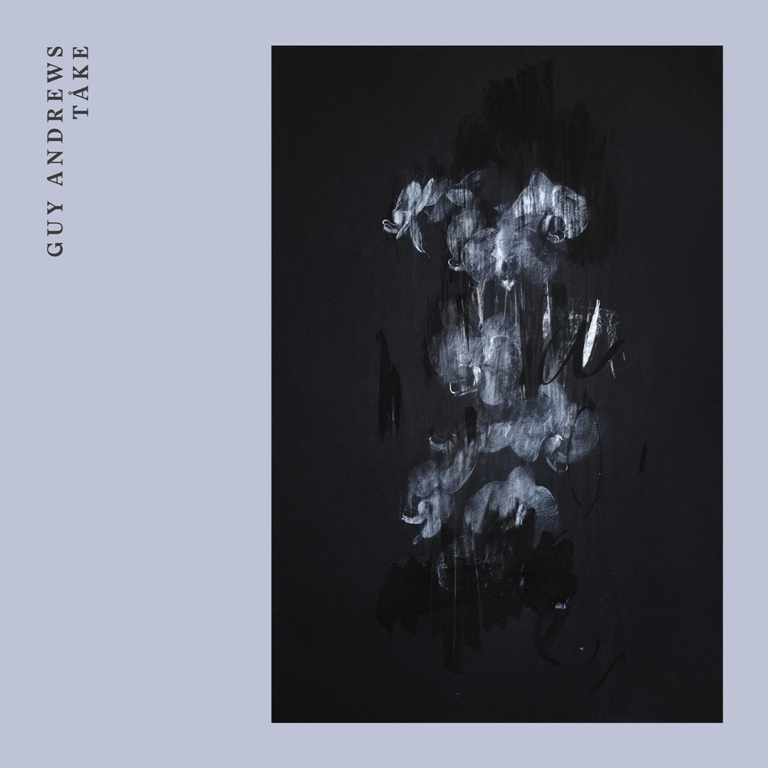 ‘It Cannot Surface’ is taken from Guy Andrews’ new album ‘Tåke’ [Norwegian for “mist” or “fog”]. Released on 22nd September via Houndstooth it is a brooding aural landscape, weaving textures and soaring rhythms with energy and restraint to draw upon the haunting sense of change in our time, and explore the space in which we find ourselves. Guy Andrews is a London based musician known for creating dark, atmospheric music by combining an array of influences from post-rock, techno and electronica to create expansive cinematic masterpieces. His new album was inspired by his visit to Scandinavia last year. A cancelled return flight from Norway due to fog left Guy with some time to explore his surroundings. He comments, “I had some extra time to explore Bergen, the city where I was staying. I ended walking up a small mountain and at the top was greeted by a stunning view of Norway’s fjords – it was such a stark contrast to where I was living at the time that it inspired me to write music that reflects the reward you get from exploring new environments. Having scored for world-renowned photographer Nadav Kander, as well as collaborating with Massive Attack’s Robert Del Naja in the past, ‘Tåke’ sees Guy Andrews working with acclaimed musician Alev Lenz on the haunting and stunning track ‘The Clearing’ and the sinister and pulsating ‘Feelings’. Her music was recently featured in the final episode ‘Hated in The Nation’ of season 3 of Charlie Brooker’s Black Mirror. The artwork for Tåke features an oil painting commissioned by critically acclaimed painter Jake Wood-Evans, whose recent work is being currently featured in Nottingham Castle Museum & Art Gallery following a solo exhibition in Unit London. Following his début album last year on Houndstooth with Our Spaces, 2017 has already seen Guy Andrews record at the legendary Maida Vale studio with Masayoshi Fujita for BBC Radio 3. 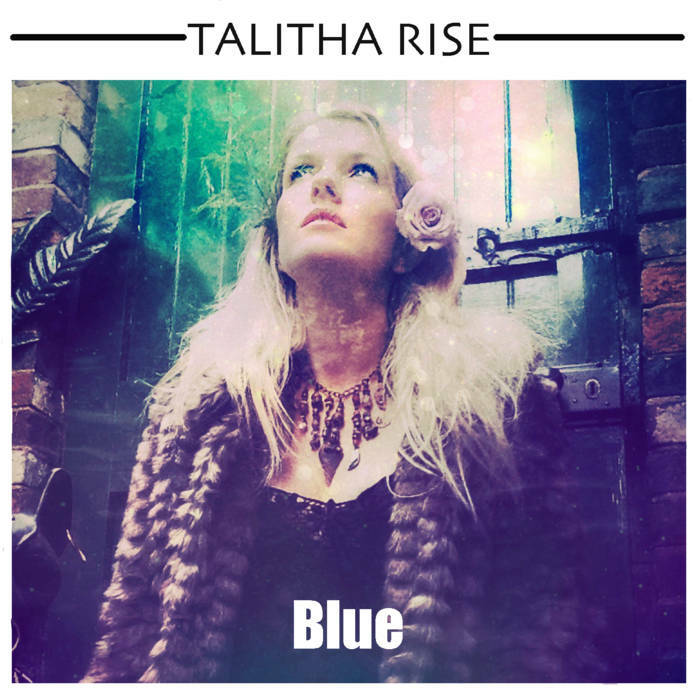 I wrote that after my umpteenth listen to the first EP from Talitha Rise – ‘Blue’, I like music that has pomp and circumstance and power and glory but I also love music that has the power to move me with it’s grace and beauty and ‘Blue’ fits perfectly in the latter category. 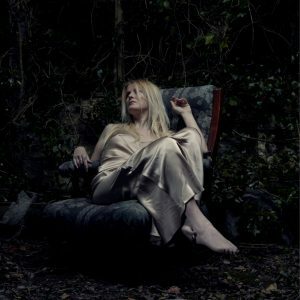 Talitha Rise is the solo project of Jo Beth Young, Jo Beth has been likened to artists such as Tori Amos, First Aid Kit, Mazzy Star and Stevie Nicks all the while remaining a striking and unique voice that hypnotizes the ear. Whether recorded or live her music grabs the listener from the first few notes and plunges them into the deep with a combination of diverse and haunting vocals, melodical journeys that makes you wonder where on earth you have been for the last 30 minutes. 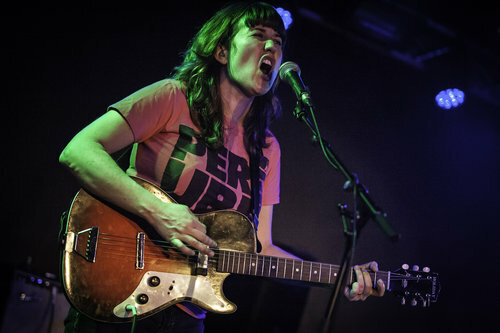 Her EP ‘Blue’ (co-written and co-produced by Martyn Barker (Shriekback) introduced a forest of unfurled noise where a plethora of strings and lush unexpected sounds wind themselves around stories and understated guestings from artists such as Juldeh Camara (Robert Plant) and Chris Difford (Squeeze). Six atmospheric songs of understated grace, ‘Blue’ opens with the dreamlike Magpies, a track with an otherworldly feel to it and one where the ethereal qualities of Jo Beth’s gorgeous vocals just draw you in. It’s Folk music but like nothing you’ve really heard before, the pared back rawness of the music adding a primal gloss to everything. Shadow Navigation carries the theme further with a delicate guitar and strings guiding the haunting vocal along a hidden path. These songs were conceived and inspired by the surrounding nature of East Sussex and you can almost feel the life-force running through them. A plaintive violin adds pathos and humility to the stark beauty at the heart of Jo Beth’s elfin-like voice. There’s an impish tone to Golden Moon, a track with a more traditional folk edge to the music, Listening to Jo Beth I imagine myself in a mist-shrouded dawn as her elegantly lilting tones bewitch you. 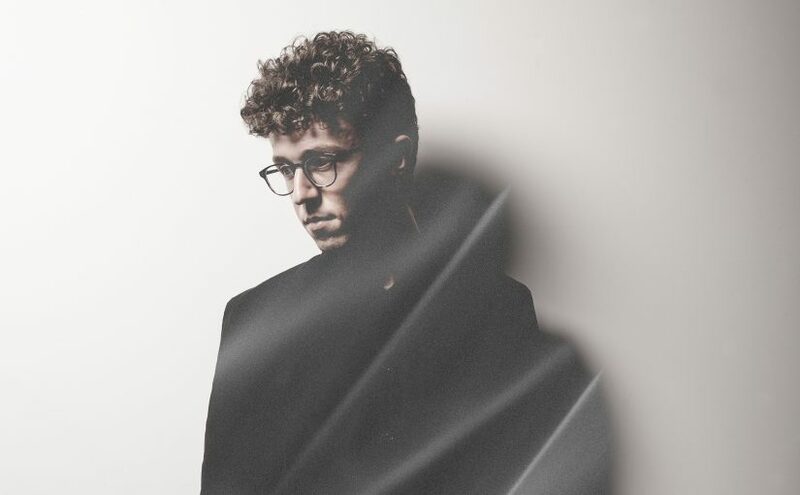 This song has a more serious overtone, darker, more intriguing as it segues into progressive-folk with its allegorical connotations, slightly devilish and wild. 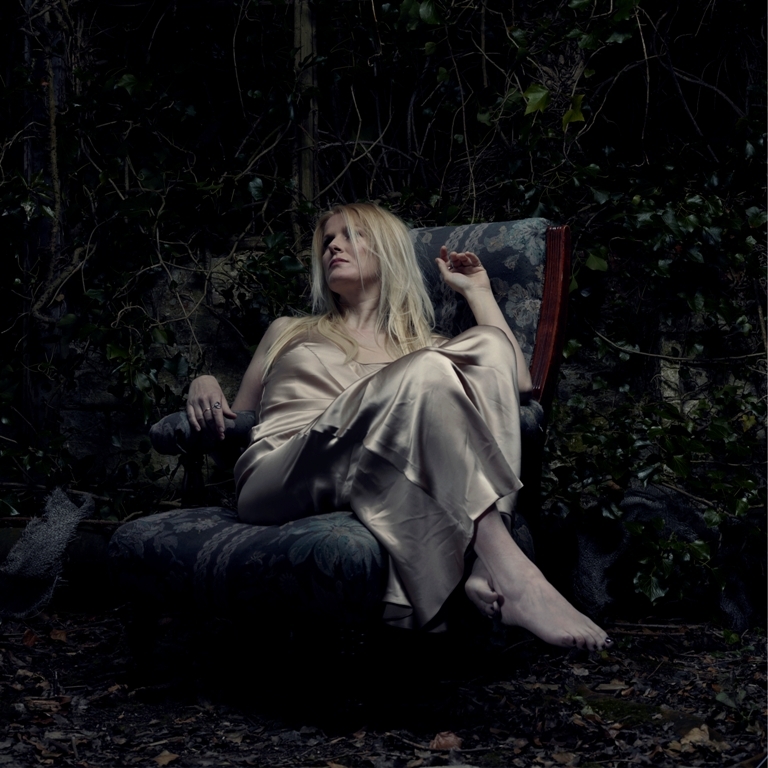 The most pared back song on the EP, Deadwood is a delicate and sublime piece of music, the fragility barely held back as Jo Beth delivers her halting vocal like an ancient troubadour, backed by the bare essentials of instrumentation. There’s a ghostly, intangible sensation that hangs over the whole track and you find yourself getting lost in its inestimable charm. Wide-eyed innocence flows from Jo Beth’s voice as she sings the opening words to Morning, another simple and yet delightful piece of music that plucks at your heart strings with its naiveté and guilelessness. Perhaps more Art Pop than folk, it fits in with the rest of the songs perfectly. There’s no complications to music when it is as simple and unpretentious as this and it lifts the heavy weight of life from your soul. Too soon the EP comes to a close with Doves, perhaps the most progressively tinged track with its enigmatic aura. A passionate and ardent song, Jo Beth gives us her most powerful vocal performance and yet she never loses that childlike innocence from her voice. The vibrant music delivers a colourful soundscape that envelops all and closes out the EP in elegant style. Captivating and bewitching from the first note, the ethereal beauty and childlike grace of Jo Beth Young’s vocals are at the core of ‘Blue’, a wondrously engaging collection of songs that serve notice of a musical talent to watch out for. She is currently finishing the debut Talitha Rise album due for release in late 2017. The Lake is the first single of the album.